From writing surfaces to spaceship shields, these illustrated timelines trace the role of ceramics throughout human history. 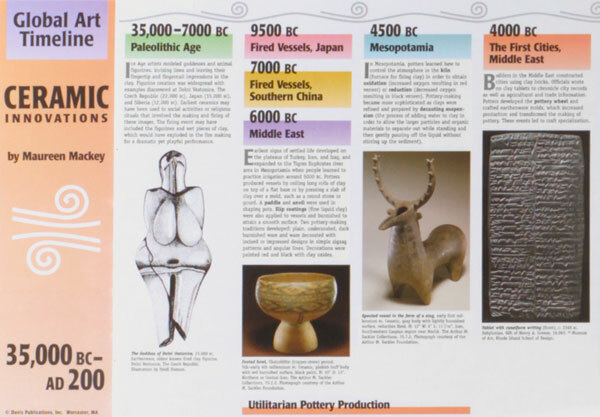 By reviewing the images and timeline text, students discover the contribution of ceramics in visual arts, writing, history, geography, economics, and science from 35,000 BCE to the present. The teacher's guide provides discussion questions, classroom activities, vocabulary list, and a selected bibliography. The set includes three 60" × 12" (152 cm × 30 cm) panels.